The Garden of Eden is set to become one of the most popular venues in Liverpool. The Shankly Hotel’s new rooftop destination is ideal for weddings, conferencing and various events, thanks to the unrestricted views of our beautiful city, flexible space and exquisite interior. VIP guests were therefore invited to attend the magical winter wonderland-themed Eden Launch, with celebrity guests adding to the glitz and glamour of this stylish event. 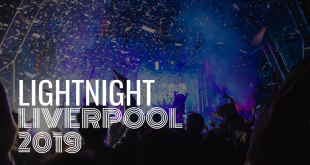 We here at Signature’s Liverpool were lucky enough to go behind-the-scenes of the night, which was full of superb performances, exceptional food and drink and many amazing moments from some rather fantastical characters. After receiving VIP invitations delivered by the hotel’s astronomer, many celebrities couldn’t wait to share their delight about Eden Launch across social media. One star to take to the red carpet was none other than TOWIE’s Chloe Lewis, who was impressed with the winter wonderland-themed launch, which was hosted by local radio legend Pete Price, who ensured all our VIP guests received a warm welcome. Many more stars joining Chloe Lewis on the red carpet, including Emmerdale’s Gillian Kearney, The Real Housewives of Cheshire’s Leanne Brown and the LFC football icon that is John Barnes. The cast of Hollyoaks was also delighted with Signature Living’s Wonderland, with guests having the opportunity to meet some fantastical characters at the glittering launch party. Just some of the soaps stars to attend the event included Nikki Sanderson, Amanda Clapham, Alfie Brown Sykes, Jessica Fox, Jessica Ellis, David Kennedy and Jimmy Essex, who were more than happy to strut their stuff on the dance-floor, whilst enjoying the personalised Eden vodka luge, Liverpool Gin pop-up bar and dry ice gin shots. While you couldn’t write a more perfect evening, that didn’t stop TV writer and producer Phil Redmond from attending our launch party, who was joined on the red carpet by his beautiful wife Alexis. The Garden of Eden was a celebration of one of the city’s most stylish venues, so it seems only right that some of Liverpool’s finest fashion designers attended the event, which is why Mark Melia, and Phillip and Tony Armstrong, attended the launch party and enjoyed scrumptious canapes of steak and chips, and salmon and cream cheese tarts. Guests also experienced teacups of chicken Thai green curry, Scouse and mushroom stroganoff. As we all know, there’s always room for dessert, and the VIP guests just couldn’t get enough of mini lemon meringue pies, chocolate hearts and even trays of Soleros, Cornettos and Magnums. There was also an opportunity for guests to walk away with some fantastic prizes with the brilliant game of Wheel of Fortune. As many people will know, Signature Living aim to do things a little differently, offering amazing experiences that surpass expectation, which is why they were delighted to welcome Rachel McFarlane to the stage to entertain the crowd, who performed a number of songs, including her hit song “Take Me to the Clouds Above”. Helping guests onto the dance-floor was also DJ Mark Armstrong, who provided the soundtrack to the night. If that wasn’t enough, Nazelle Danielle School of Dance entertained the crowd with their impressive performance, highlighting how much talent there is in our amazing city. The Garden of Eden is the perfect combination of beauty and flexibility, offering an adaptable indoor space that’s ideal for weddings, conferencing and banqueting events, whilst boasting 360 degree unobstructed views of the city, as well as a rooftop garden that will feature two Jacuzzi-style whirlpools, a public seating area, café-bar and a sixty-foot slide. There’s no venue quite like it in Liverpool. The Eden Launch party was just part one of the celebrations, as Eden will host the city’s first mini-festival in the city centre, which will mark the official opening of the Garden of Eden. We cannot wait! For more information and photos from the night, simply type in the hashtag #Edenlaunch on social media, where you can view posts, tweets and many more superb photographs. Find out more about the Garden of Eden at The Shankly Hotel. All photos provided by Paparazzi Studios.